Fall is just around the corner for many in the U.S. and here in Nebraska, the pumpkins are ripe for the picking! 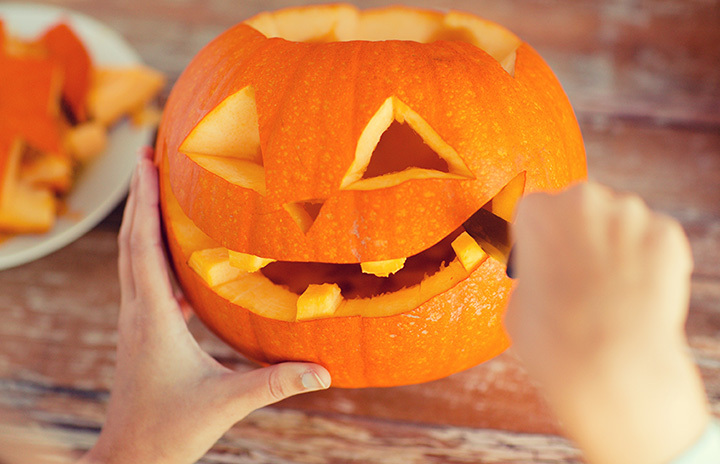 Whether you and your children want to carve up a creative jack-o’-lantern or you’re baking a delicious pie for your Halloween party guests, you’ll find a sea of options at the best pumpkin picking spots in Nebraska! The name of this beautiful farm in Avoca, Nebraska, has special meaning and significance for owner Teresa Lorensen. When feeling dissatisfied with her career and looking for something that would be more fulfilling, her mom used to say “Bloom where you’re planted.” In other words, make the most of where you’re at in life. In 2005, Teresa and her husband Terry embarked on a new adventure on the family farm. From late September through mid-October, join them for their Annual Pumpkin Festival, which features a fantastic hayride to the U-Pick pumpkin patch where pumpkins galore await! The Country Harvest Pumpkin Patch began in 1998 with a mission of sharing a piece of the country with as many individuals as possible. Opening day is in mid-September and there are over 20 varieties of pumpkins to choose from! Enjoy the hayrack ride to the pumpkin patch and pick your own assortment of pumpkins, or you can also choose from pre-picked pumpkins in the store. There are decorating and carving kits available for purchase, including glow in the dark pumpkin teeth, paint, decoupage and more. The Bellevue Berry and Pumpkin Ranch in Papillion, Nebraska, isn’t just a “pick your own” pumpkin and berry farm; they are also a country experience where guests can see what daily life is like on a working farm, as well as what life was like 100 years ago. The pumpkin patch is over 20 acres and each year they host the Great Pumpkin Roundup, where visitors can come and pick pumpkins to their hearts’ content while enjoy other activities including Pirates Cove, corn mazes, a hayrack ride and more! It all began with the children and a pumpkin stand on the side of the road in 2007. Now, it’s a family affair and the farm has doubled in size, becoming a must have destination for weddings and a go to destination for pumpkin picking. The location opens up in mid-September and in addition to pumpkin picking, the farm also has other fun activities to engage in, such as zip-lining, a puppet barn, barn slides, and the Scarecrow forest! Helgoth’s Pumpkin Patch began when Grandpa Helgoth, fresh out of the service, moved his family to St. Libory to raise melons and pumpkins. Fifty years later, there is a 25-acre “U-pick” pumpkin patch, and it’s filled with pumpkins of all shapes and sizes just waiting to be picked! This is a great place for families to a working farm and to enjoy the beautiful, peacefulness of the countryside. An adventure for the young and the young at heart awaits at Poppy’s Pumpkin Patch in Norfolk, Nebraska. Poppy’s is a family owned and operated business selling home grown pumpkins since the fall of 1999. Over the years they’ve grown to include many other attractions such as a café, zip lines, a petting zoo and of course their infamous pumpkin patch where beautiful pumpkins await! Skinny Bones Pumpkin Patch grew out of a childhood love of planting pumpkins. As a young boy growing up, owner Jeff Bledsoe planted pumpkins in his parents’ backyard every year, proud as could be with the largest pumpkin that would turn up. Skinny Bones is a popular destination for friends and families alike. Real pumpkins ripe for the picking straight from the vine can be found here, as well as other fun activities as the Jack O’ Shooter, Haley Boo’s Petting Zoo, and just in time for Halloween: Eerie Trail and the House of Mystery. The pumpkin patch that has everyone talking this year is The Scarecrow Patch in Grand Island, Nebraska. It’s been the place for families to make their own ‘Harvest Time Memories’ since 2011, and it’s the best place to find a great pumpkin to complete your fall or Halloween décor. The best way to get to the huge, open “U-Pick” pumpkin patch is by hayride. Enjoy the fresh scents of fall and pumpkins mingle as the crisp air touches your cheeks and brings back memories of being a kid! Valas Pumpkin Patch has been a family owned and operated business since late 1988 and it’s become a tradition for many families in the Gretna area ever since. The goal was to create a family friendly, farm experience but they never expected it to grow as it has, with thousands of visitors each year lining up in eager anticipation of finding that perfect pumpkin. Opening day is generally in mid-September and there are hundreds of activities and attractions to see while pumpkin picking: the jack-o’-lantern tree, the Scarecrow Band, and many more! Wostrel Family’s Union Orchard has been in business since 1875 and has some of the best pumpkins throughout Union, Nebraska. Their pumpkin patch is the “U-pick” variety, so whether you’re in the mood for a carving pumpkin or one to use for baking, Union Orchards is the place to go! If you aren’t sure which pumpkin is right for which task at hand, be sure to ask one of their knowledgeable staff or visit the link on their website!